We are completely FROZEN obsessed in this house. About a generation ago, my family came to America from Norway, my mom’s brother and cousins still live in Norway, and so when we heard that Disney’s FROZEN has Norwegian influences we were thrilled. Being Norwegian has always been a big part of my identity, an identity my mom always took care to share with me, but I was unsure of how to share it with my daughter. I spent my childhood growing to love Norway through listening to my grandmother tell stories of her home in her thick Scandinavian accent. I wanted my daughter to love her heritage as much as I do, and she has found her love through the movie FROZEN. 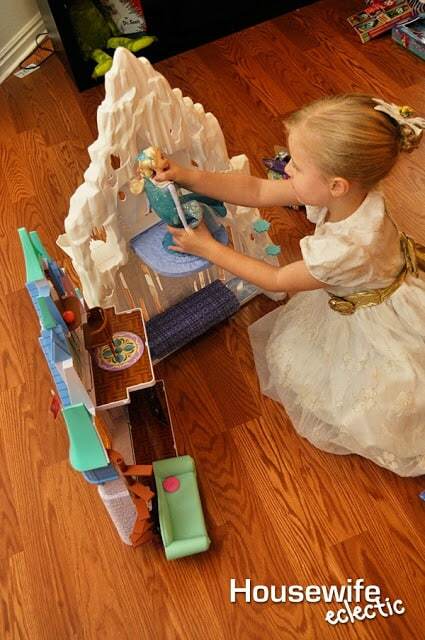 FROZEN is the darling tale of two sister princesses, one of which, Elsa, has the power to freeze things. When Elsa loses control of her power and plunges the country in perpetual winter, Anna must find and help her sister before it is too late. We absolutely loved watching the movie together. Throughout I would point out what things were closely tied to our heritage and she enjoyed the beautiful story. 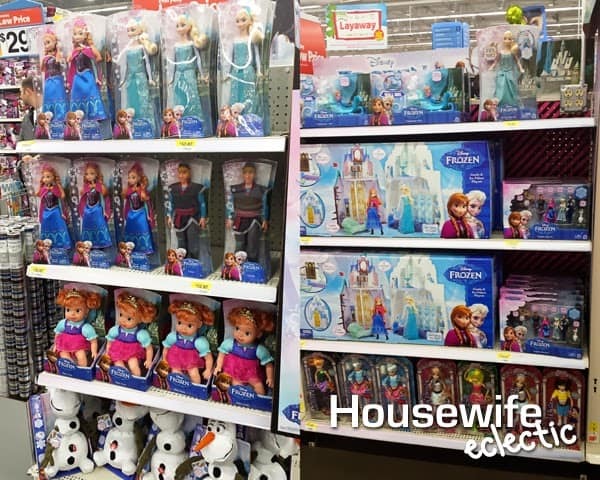 With her 5th birthday coming up, I knew I wanted to buy her FROZEN toys to celebrate. I found a fantastic selection at Walmart. 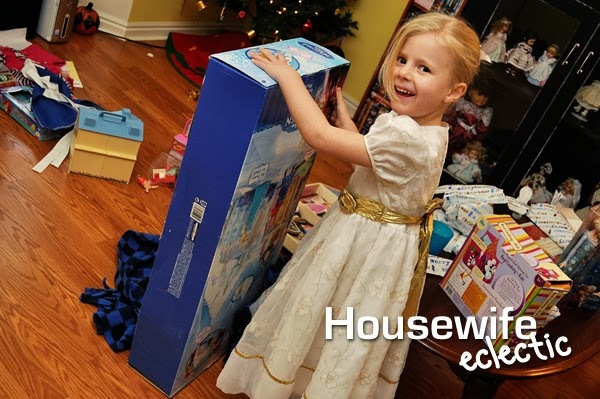 I ended up buying her the Anna Doll, the Elsa Doll and the FROZEN Castle Play Set. I wanted her to be able to experience the movie over and over again. We also stopped by the in Walmart Subway for their Fresh Fit Kids Meal which features a FROZEN bag and Olaf keychain. I love stopping at Subway for lunch, I feel better about feeding my daughter while out and about if I know it is real food, like a sandwich and apples, plus, I actually clipped the keychain to my purse because the little Olaf is just so darn cute and he keeps my daughter busy in the car. The look on my daughter’s face when she opened the Play Set was one of pure joy. 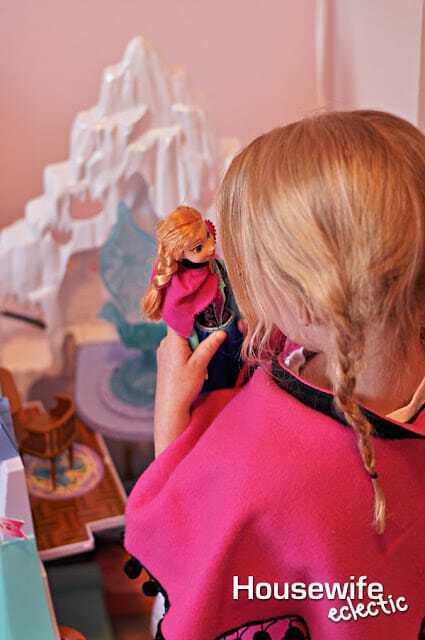 I absolutely love both the characters of Elsa and Anna, I think both learn and grow a lot during the film and she was thrilled to get both dolls to play with. The best part of her entire birthday was discovering that the Play Set came with its own Olaf. Olaf is the cute little snowman who is the comic relief for the entire movie. I think he is definitely one of my daughter’s favorite parts. As my daughter played with her new Anna doll, she started talking about how one day she wanted a cloak that looked just like Anna’s. I looked closely at her new doll and realized her dream of a Anna cloak was a real possibility. The cloak was moderately easy to pull together and cost less than $10 when all was said and done. 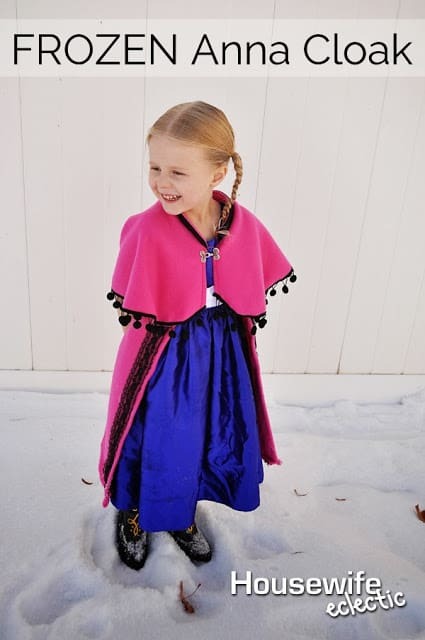 She has worn the cloak every day since it was finished, and her Anna doll goes almost as many places. She loves that they match, the perfect gift. I have broken up the cloak into four groups, the vest/long part of the cloak, the circular cape, the collar and the trimmings. Going in order will make it slightly easier. There are not exact measurements for the material, as it will depend on the child you are making it for. 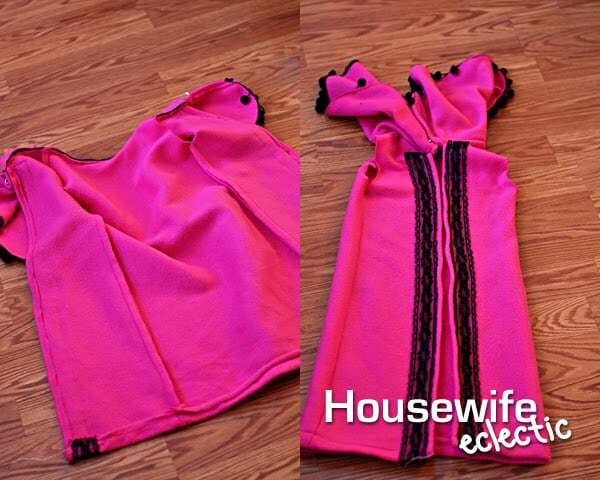 Pink Fleece, for a 5-year-old like my daughter you will need just over a yard. I bought a yard and a half and had extra. The long part of Anna’s cape is really just a calf length vest. I used an existing vest of my daughter’s as a pattern for the top. The vest is the same shape as the pattern vest, just cut longer. 1. Fold the vest you are using a guide in half, and lay it on the fold of your fabric folded in half. 2.Trace the vest half onto the fabric. I measured my daughter from the top of the shoulder to the calf and then used that measurement as length guide. 3. Cut a full size vest piece, and then using that as a pattern cut another. 4. Cut the second piece directly in half. This will give you three pieces, one large back piece and two from side pieces. 5. Place the side pieces on either side of the larger back piece, right sides together. 6. Sew the long sides together and then sew the shoulders. 7. Turn the long front edges and of the vest under about a 1/2 an inch and hem, don’t hem the bottom of the vest right now, that will come later. For the circular cape, you are going to want to start off with a full circle cape and then trim as necessary. To do this, you will need a circle to base your cape off of, in this case we used a oatmeal container. 1. Draw the circle from the base of the oatmeal container onto the fabric and then using a ruler, mark the amount of inches from your models neck to their elbow. In our case it is 11 inches, 10 inches plus one inch seam allowance, out from the circle in all directions. 2. When you have marks all around your inner circle, connect them to form a full circle and cut out. 3. Slice the circle at one point and cut out the middle circle. 4. Pin one side of the circular cape to the vest, and try it on your model. 5. Drape the cape around the model. The cape should be just shy of a full circle to hang right, so view it on your model and mark where the vest needs to hit at the edge of the vest underneath. 6. Trim off the excess fabric. 7. 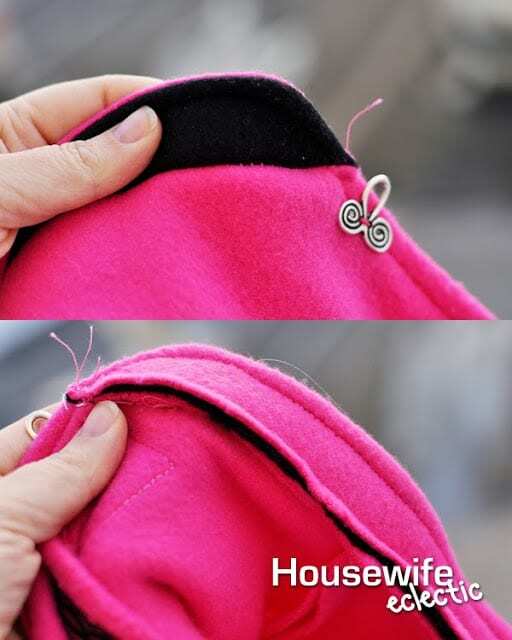 Turn the front edges of the cape under about a 1/2 an inch and hem, it isn’t necessary to hem the bottom edge of the cape as you will be adding trim. 1. The collar is two long rectangles of fleece that are as long as your neckline is. One rectangle is pink, and one is black. 2. Curve the corners of the rectangles, so that it looks like an upside down, long toboggan. 3. Sew the rectangles, right sides together, on one side and the rounded corners. 4. Clip the rounded corners and then flip right side out. 5. Line up the vest, the circular cape and the collar at front where the clasp will go and pin. 6. 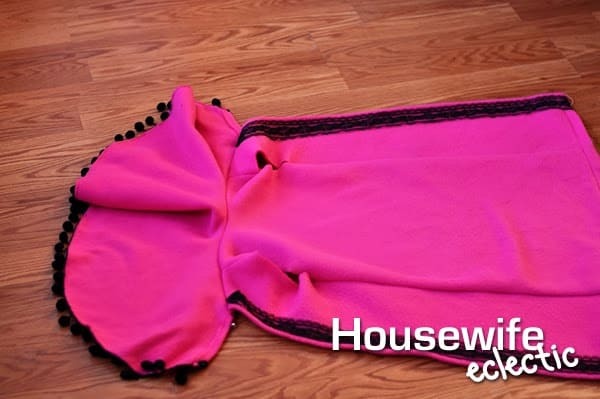 Sew onto the neckline of the circular cape with the pink fleece facing the pink fleece with a 3/8ths or smaller seam allowance. 7. Tack down the seam allowance on the inside of the cape to help the collar stand up. 1. Sew the black lace up the front of the vest, turn the raw edges of the lace under on the bottom of the vest and hem with the raw edges of the lace tucked away. 2. Sew the pom-pom trim to the bottom of edge of the circular cape, we used 1.66 yard of black pom-pom trim for width of the circular cape, you will need more or less depending on where you trim the cloak. 3. Add the fastener in front. My little girl absolutely loves her new FROZEN toys and best of all that she matches her Anna doll. I absolutely love that FROZEN has given me a chance to share some of her heritage with her. I loved the movie FROZEN. My daughter just turned one, but I am definitely making this for her even though she will need to grow into it (and learn to walk)! What a fabulous idea! Best movie ever. Such a cute cloak. Good job. This cape is BEAITIFUL. Wr still need to go see this movie. DARLING DARLING DARLING! 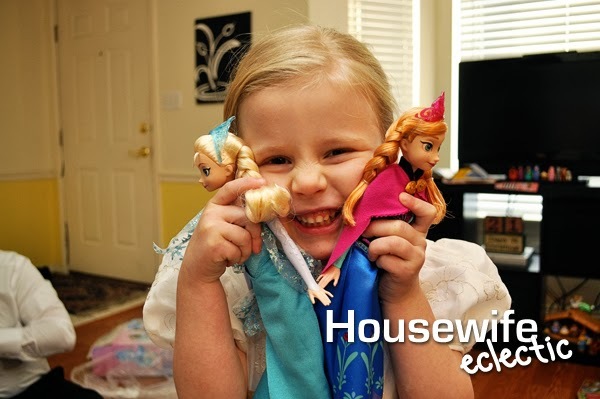 We, too, are obsessed with Frozen at our house. Looks like I'll be making this for a certain toddler bday next month… Thanks for sharing! Oh my goodness! I was excited to see this movie anyway. But now I am SUPER EXCITED! The cape is adorable. I want one for each of my girls. And I know we are going to want all those toys too. Eee! That is so great that you were able to find a great way to share your heritage with your little one. I love this! Oh my goodness that is adorable! I want one for my daughter! That is so sweet! Your daughter is adorable. Loved that movie too! I LOVE LOVE this Debra! I bet your daughter never takes it off! Pinned this for later. LOVE this!! 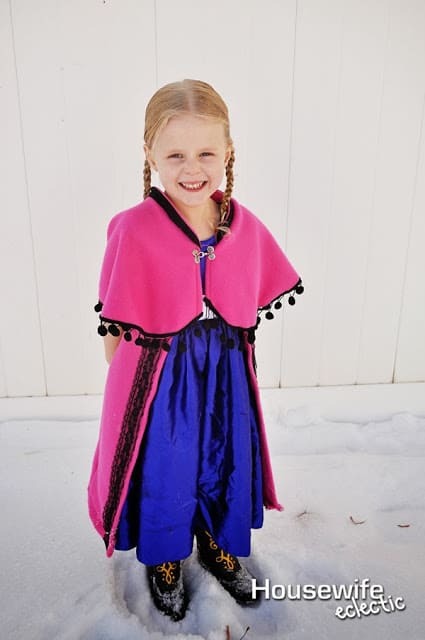 My girls are obsessed with Frozen too, and my youngest has already decided she'd like to be Anna for Halloween next year. Thanks so much for sharing!! Alright, I am seeing FROZEN stuff everywhere I turn – I gotta get out and see this movie!!! I'm sure I will love it! 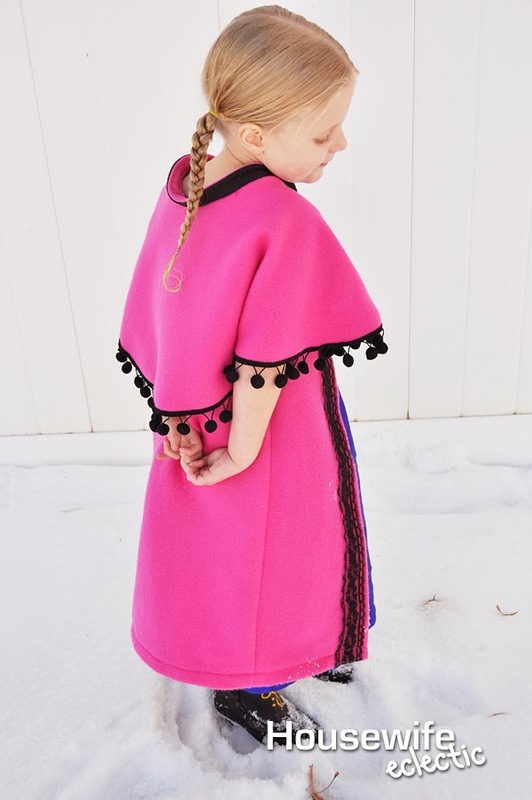 Love this- I'm making a cape for my nephew who at 4 is in love with Anna- I didn't realize it was a vest under the capelet- I was planning on doing a half cape, but this style will look even better. My nieces would love this! So fun! My girls are obsessed with this movie, and I know they would love having an Anna cloak! It turned out great! LOVE THIS! 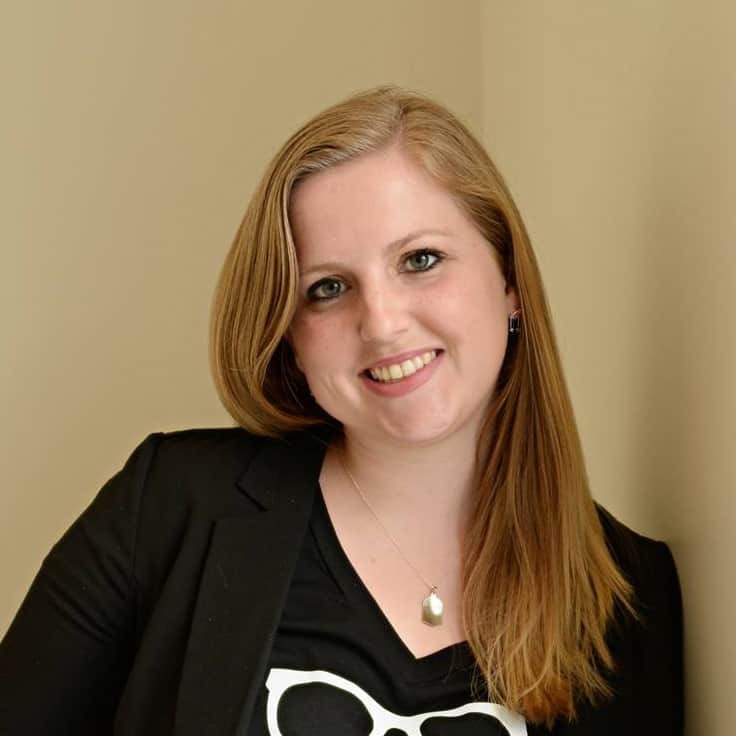 Thank you for sharing it, we've featured you over on the blog! this clasp is perfect: https://www.etsy.com/listing/86659244/romance-silver-cloak-clasp-sca-larp for those of us using your tutorial… THANKS!! I just finished mine and my girls love them. Thank you so much! They turned out great. Thank you so much for this. I can't wait to make some for my girls (or two). Where did you get the boots? I love them! It's nice to see someone making a frozen costume rather than buying one. Thanks for sharing! 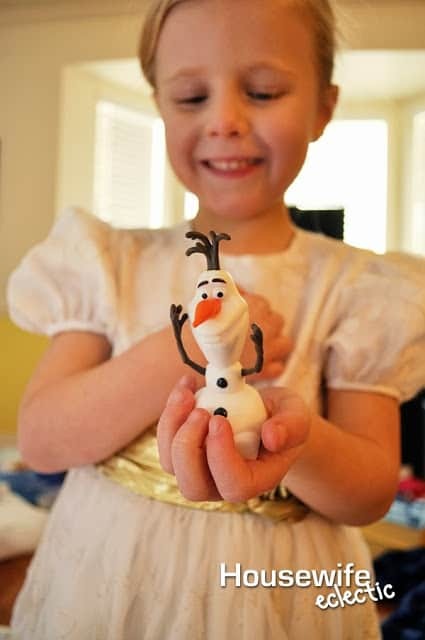 there are so many crafty, creative mothers who love Frozen! I am in the process of making this now. No where do I see where you finished your arm holes. Did you just turn under and stitch? THANK YOU for this tutorial! 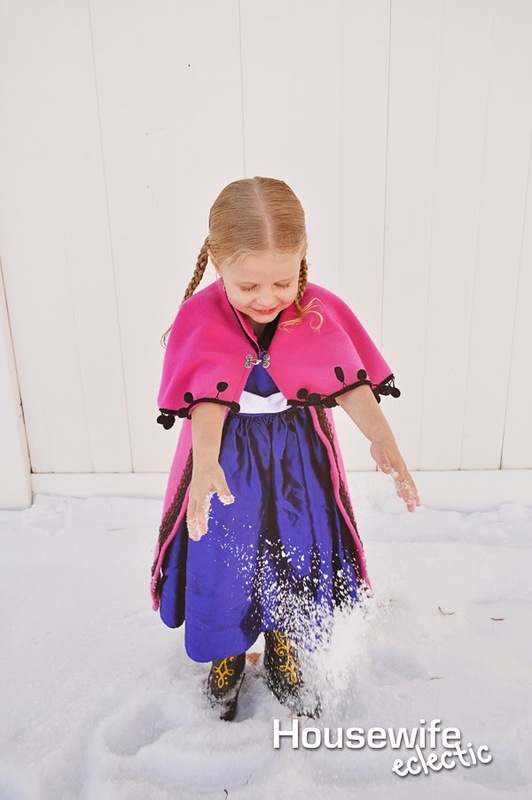 Little girl decided she wants to be Anna for Halloween, but we couldn't find a "store-bought" costume that A. fit her… and B. was decent quality to last beyond Halloween. Also… couldn't find one with a cloak. So we're going the "homemade" route. Scary! We went to the fabric store this morning and I just finished making this cloak, following your instructions. It came out AMAZING… and I am definitely a novice when it comes to sewing machine operation. Thank you so much! Thank you so much for this! My daughter is so excited! One thing, I can't quite figure out how to attach the cape (circle) to the cloak (vest). Can you or someone else who's done it help me out? The necklines are different lengths, since the cape has to reach around to the edges of the vest, so I'm a bit stumped. Thanks for any help! I have the same question about joining the circle cape to the vest. I might have missed something. Love this! Your directions are great! my understanding on some some things is lacking.. Hahaha. Had a little trouble attaching it all together, but finally got it. I'm sure it's not exactly how you did it, but pretty darn close! I just have to hem the bottom and I am finished!!!! THANK YOU for this awesome tutorial!!!! !